World Bank Data is a World Bank Group’s online resource providing access to a large quantity of statistical data on many aspects on economy and development of countries worldwide. Data are searchable by topics and countries, provided in electronic and image format. The website features different of information about development and financial indicators, as well as tables on technology diffusion, statistics, data on emerging markets, projections, and other specific databases. Most of the social data are collected annually, but some financial and economic data are available on a quarterly or monthly basis. Some databases are free of charge while some others are provided on an annual subscription basis, with different policies for individual or institutional users and discounts for developing countries residents. 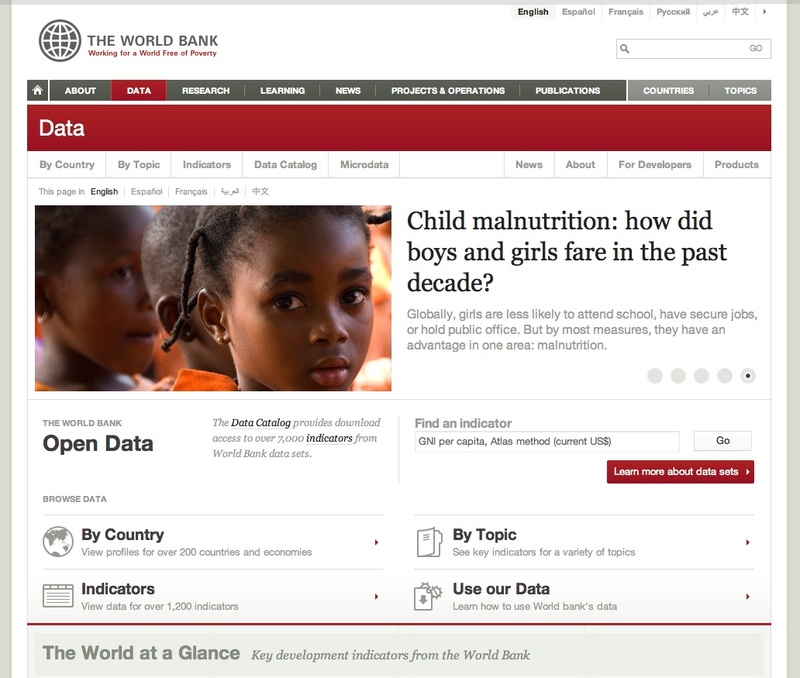 Many other information about the methodological aspects, current projects and activities sponsored by the World Bank in the data collection field are also retrievable by all users. More specific records are searchable by browsing subjects and countries or by using the multiple search features. A clickable site index, as well as a comprehensive site map, and a help page with several links, are also provided — tools particularly useful for first time users.